Hot days, cold nights, intense sunshine: dressing for Aspen in June takes some serious planning. Here, a few of the chefs share their Aspen clothing and accessory strategies. Paul Qui: I carry a lot of stuff, so I packed my Billy Reid chore coat, which has tons of pockets for all of my stuff. Marcus Samuelsson: Aspen isn't too different from Switzerland—hot days and cold nights. I pack my Ethiopian scarves and a light leather jacket, which work well in the mountains. It's all about being comfortable since we're constantly in motion. 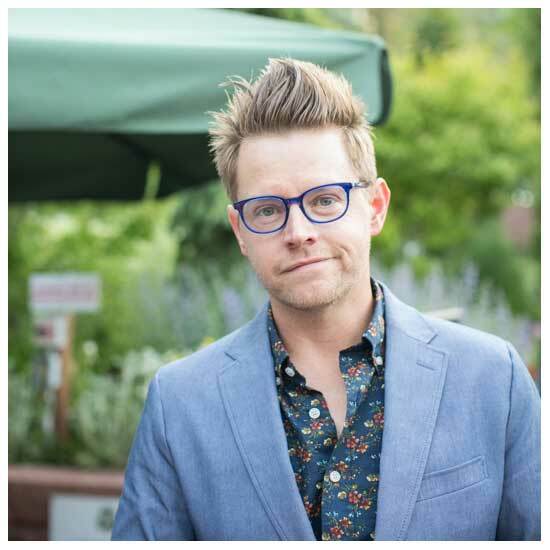 Richard Blais: For the charity 5K run, I packed my Nike clothes and my NYC Marathon finishers shirt, as a tactic of intimidation with Marcus Samuelsson. There's always pressure next to Marcus—I have to compete! I love Moods of Norway, Slate & Stone and Paul Smith, and my Warby Parker glasses. I also brought 4 pairs of sneakers, but my wife wouldn't let me bring more than that. Look, even Andrew Zimmern is a fashionista so I need to step up my game! Andrew Zimmern: I have to wear a hat, so I am wearing my crazy boat hat. This way Marcus Samuelsson can't out-hat me! I'm also wearing my dead step-father's mother-of-pearl belt buckle—you have to have an insane belt buckle for Aspen. And since I'm always running around when I'm here, I'm wearing my Nike-Cole Haan summer weight suede shoes. They're the best.